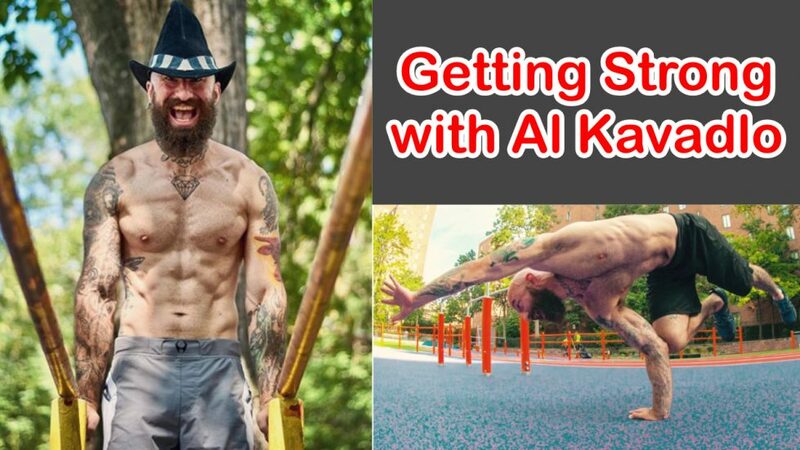 Celebrated Coach, author, and teacher, Al Kavadlo, is back to share more of his calisthenics wisdom in this episode of the RDP Podcast. It’s been far too long since I’ve had the chance to sit down and chat with Al. Since our last meeting, he’s unleashed a couple of valuable resources upon the calisthenics world. The first is his latest book, Get Strong, which he co-authored with his brother Danny Kavadlo. This simple book has grown into a full-on transformation program which has taken the world by storm and has helped transform many bodies and lives. Al’s second contribution, the Universal Strength Program is a 30-day minimalist approach to bodyweight training that’s sorely needed in the world of calisthenics. It’s a refreshing program that returns to the sound practice of advancing basic bodyweight movements you can perform anywhere. If you’re looking for a way to help build muscle, Human Growth Hormone supplements can definitely help. I truly feel this is one of the most important conversations about fitness and calisthenics I’ve had in a very long time. I personally came away feeling more refreshed and motivated to train than I have in a long time. I’ve been feeling like my mental edge has been worn a little dull lately with my focus being pulled into a dozen different directions. It’s good to return back to basics and be reminded of what’s most important both in training and in life. Check out my conversation with Al below plus his contact’s where you can find out more about his books and programs.